Monel 400 (Ni 67%) is made of a Nickel-Copper alloy that offers outstanding corrosion resistance in seawater. Monel 400 better withstands oxidation attack as compare to other copper based alloys and significantly prevents attack by sulfuric acid, hydrofluoric acid, hydrochloric acid, nitric acid, hydrofluoric acid and alkalis. It offers outstanding resistance to steam and has good toughness that makes it an ideal material for use in the oil refining industries. Monel alloy 400 can retain its hardness at the various temperature limits. In annealed condition, monel alloy can be used up to 1000oF or 480oC. It has medium to high strength, fine weldability and exceptional mechanical characteristics at subzero temperatures. Alloy 400 is more economical and superior than Nickel. Monel 400 is widely produced in the forms-Monel 400 wire, Monel 400 bar and Monel 400 plate. 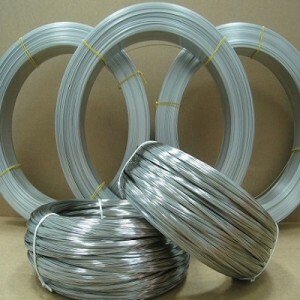 Heanjia is a popular supplier of Monel wire for fishing and marine industry. Our Monel wire is known for its tight tolerance, smooth surface and uniformity throughout the length. In order to meet the demands of our potential clients, we offer the Monel wires in various dimensions such as in diameter 0.03 mm – 12 mm and shapes such as flat, square and shaped wires. Monel 400 wire is perfect to withstand internal or external corrosive environments. Becoming a popular firm in the market, Heanjia is engaged in manufacture, supply and export of Monel 400 bars to the worldwide clients at economical price. Monel 400 bars are made available in diameter 3/16 inch – 40 inch and cutting length 1 – 20ft. 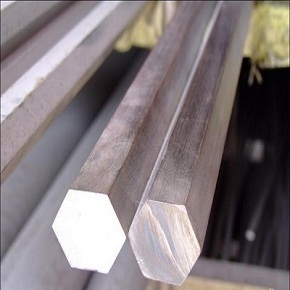 The bars and rods are custom made in shapes such as Round bar, Square bar and Hexagon bar. Monel 400 plate finds application in the various industries across the globe. The plates are manufactured in various widhts up to 1500mm and length about 3000mm. Our Monel plates are widely known for their quality and reasonable price. 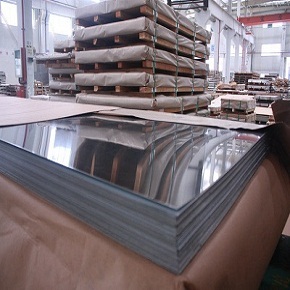 We have a specialized team who confirms the plate quality and standards before its delivery to the potential customers. Monel is a fully safe solution to withstand interior or exterior corrosive environments. It has higher services temperatures as compare to nickel, therefore it is suitable for boiler feed water, heater and heat exchanger applications. Hot and cold processing: Alloy 400 is easily hot and cold processed. The temperature limit for hot processing is 1700 – 2150oF and suitable point is 2000oF. Finished fabrications can be made to receive an extensive range of mechanical characteristics by complete monitoring of extent of hot and cold processing and by the selection of suitable methods. Machining: Monel 400 can be machined at the good rates with the machining tools that are normally used in the industries. The cold drawn or cold drawn stress relieved components are used for the suitable machining and smooth finish. Welding: The super alloy 400 can be welded by Gas or electric welding methods. Common welding techniques are GMAW, GTAW, SMAW and SAW. The alloy doesn’t require heating prior and after welding. The space around the weld should be clean to avoid contamination of the welded region. Use of argon shielding gas is preferred.